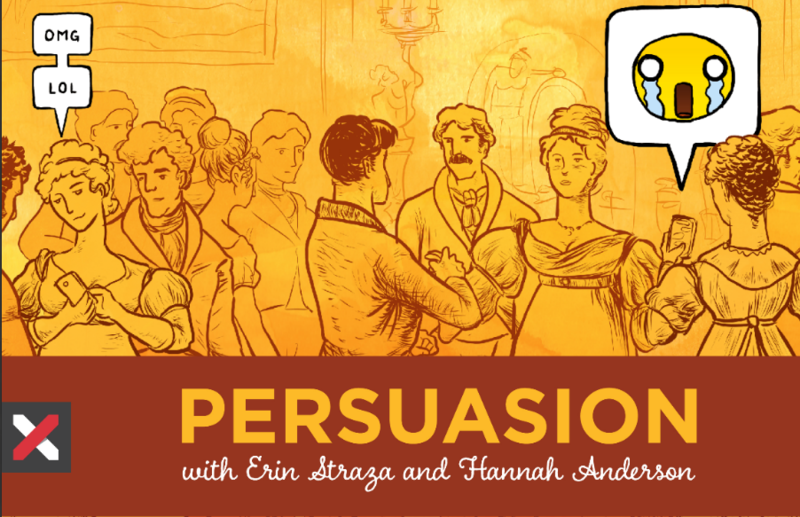 For more than three years now, Hannah Anderson and I have been meeting on Persuasion to talk about everything from food preferences and movies, to political upheaval and relationships. This steady talking has shaped me in myriad ways. I am forced to think through issues beyond the hottest hot takes; I am pressed to admit where my understanding is dim and wrong. Because of the variety of topics and guests—along with the steady influx of brilliance from Hannah—I have changed. Softened, I hope? Become more aware that my lens is not wrong, but it is mine, and there are a millions lens out there for me to consider, each one able to enhance the way I process life. I need more of this. And so, when Hannah and I began dreaming about the next stage for Persuasion, we knew the foundation had to remain right where it started: with good conversation. To this we wanted to add a structure that would allow us to take a longer look at topics from a variety of perspectives without losing momentum from week to week by switching subjects. And that’s when we knew it was time for a refresh. Persuasion will now boast a series-based format. This will allow us to group shows by subject and schedule dynamic guests who can speak in-depth about the topic. After a summer of discussion and a month of prep and a few weeks’ break from recording—it’s here! Our first episode in our first series is live. “Let’s Talk” is all about the importance of words and conversation, especially in today’s cultural climate. We cover all sorts of things about why good conversation is crucial and why bad conversation makes us so anxious. “Let’s Talk” the first in our Talking about Talk series, which will have seven or eight installments, each one covering a different aspect of good dialogue. Visit our new webiste, PersuasionPodcast.buzz. Find us on Twitter, Instagram, and Facebook, all @PersuasionCAPC. And stop by our podcast home, Christ and Pop Culture. 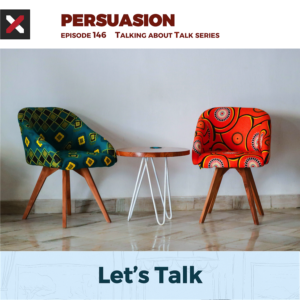 We’d love for you to follow us all about and introduce us to your friends to magnify the conversation happening around Persuasion. And even more, we hope these conversations will be an integral part of your formation as a grace-filled conversationalist in all the circles you inhabit.